In the time of kings and castles, there was only one thing that all feared and that was the mighty dragon! Peasants ran for the hills, knights quivered in fear, and kings bowed to their knees. Nowadays things are a bit different. In fact, you can have your very own dragon crawling around your home! No fooling. 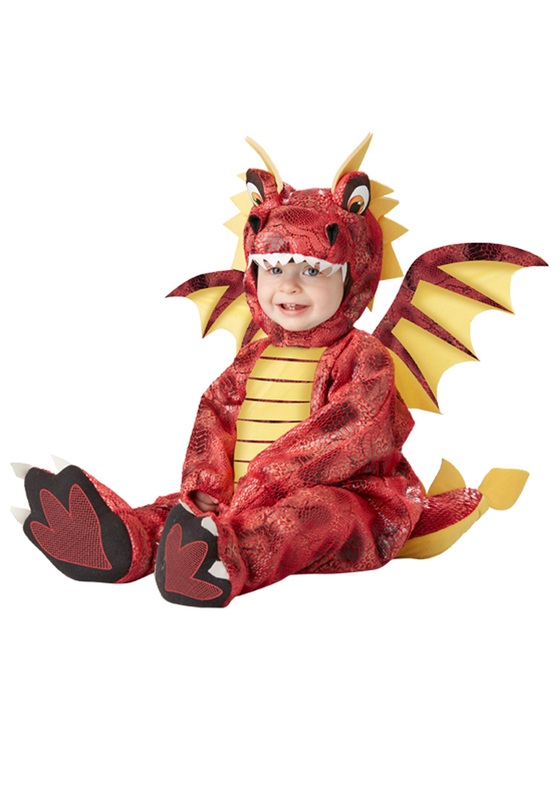 All you need is this Adorable Dragon Infant Costume and your little bundle of joy can transform into a fire-breathing cutie! The neighborhood better hide their princesses and all their gold because this adorable little flyer will be going around the block this year. As long as they have plenty of sweet treats and don’t pull any tricks, their homes shan’t feel the scorn of his fury. Instead, they will get to enjoy the cute giggles and charming coos your little one has to offer. 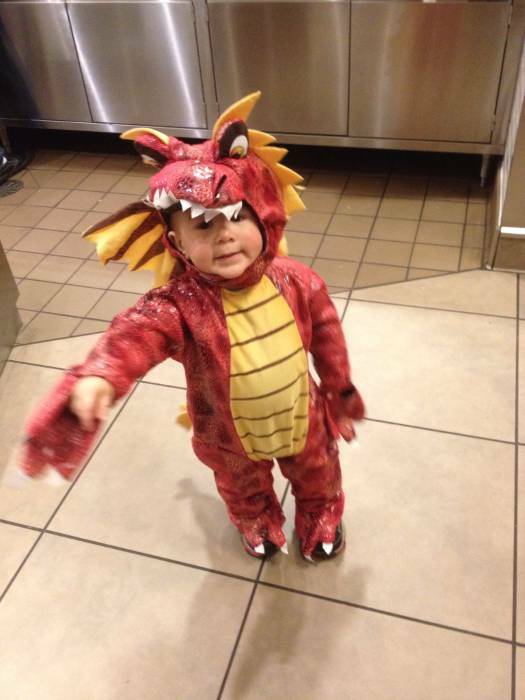 This costume comes with everything to make your kiddo into the most adorable creature anyone has ever seen. This footie jumpsuit will cover your baby from head to toe and there is even a stuffed tail and a pair of wings attached. The hood also has a soft-sculpted dragon snout and eyes, and will fasten securely under his chin with the help of Velcro. No matter how fast he flies around the block you can be sure the Velcro will holdfast. Suit your infant up as a delightful mythical beast with this Adorable Dragon Infant Costume this Halloween. Grab a few other medieval-themed costumes and the whole family can be a fun fairytale! He never wanted to take it off! Fits well. Toddler loves it. Love this company. Great customer service and communication.